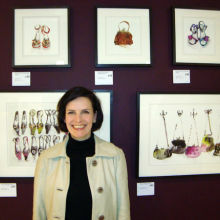 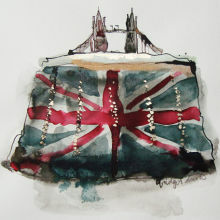 John Lewis sell a selection of my work as open edition prints in their stores, and also on-line. 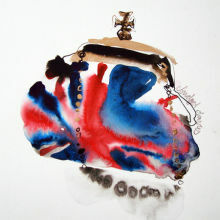 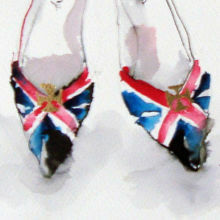 I produced a series of British and London fashion based paintings in celebration of the Queen's Diamond Jubilee and Olympic Games of 2012 . 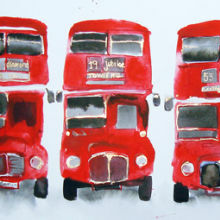 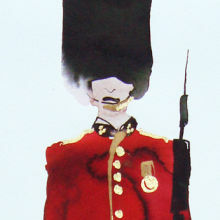 My paintings of the Queen's Guard, Union Jack shoes, London buses and a Tower Bridget handbag were amongst the images chosen to be reproduced during this period, on prints, canvases and postcards.